"If Drugs are the Answer... What's the Question? 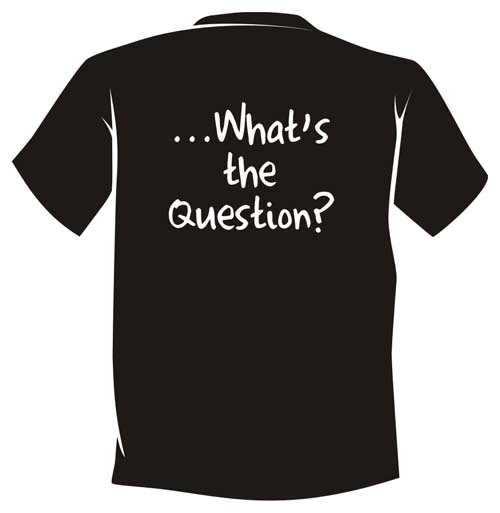 This quality Recovery T-shirt is available in either Black, White, or Ash (call regarding availability of other colors). 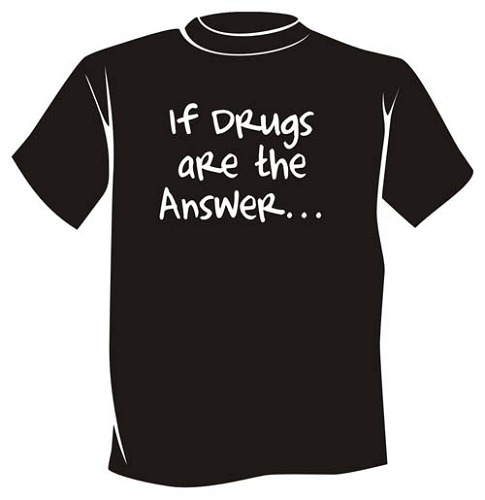 The front of the T-Shirt displays "If Drugs are the Answer..." and the back of the T-Shirt reads, "...What's the Question?"